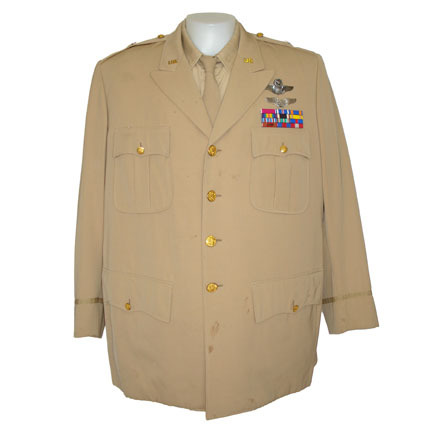 This tan military jacket with khaki shirt and tie was worn by the character "Brig. 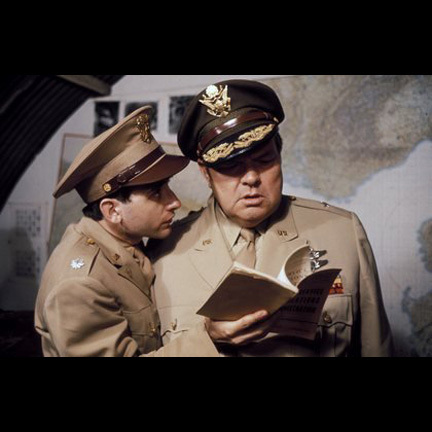 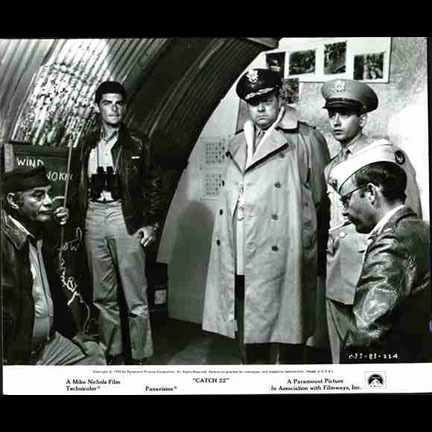 Gen. Dreedle" portrayed by the Academy Award winning actor Orson Wells in the 1970 motion picture "Catch 22" starring Anthony Perkins, Bob Newhart, Buck Henry, Jon Voight, and Alan Arkin. 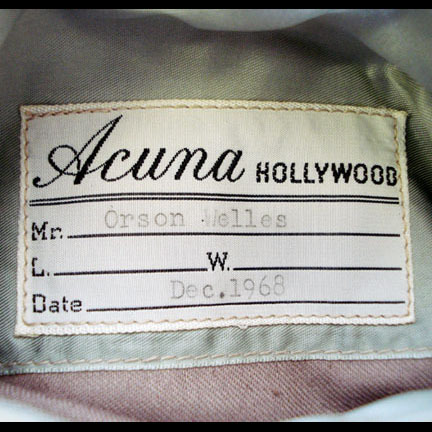 The jacket was custom made for the actor by Acuna of Hollywood and comes complete with appropriate insignia as seen in the film and the original tailorï¿½s label with the name "ORSON WELLES" and production date "DEC. 1968" clearly typed. 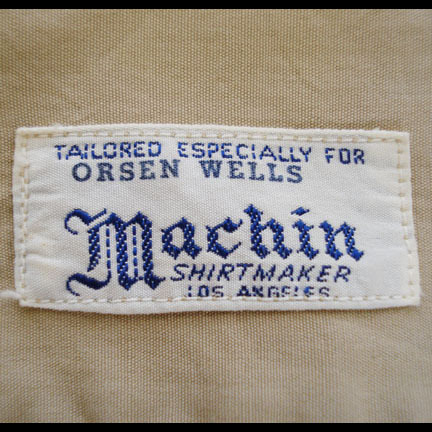 The long sleeve khaki military shirt was also custom made for use by Mr. Welles on the production and comes complete with the original Machin tailor label in the collar that reads "TAILORED ESPECIALLY FOR ORSEN (sic) WELLES". 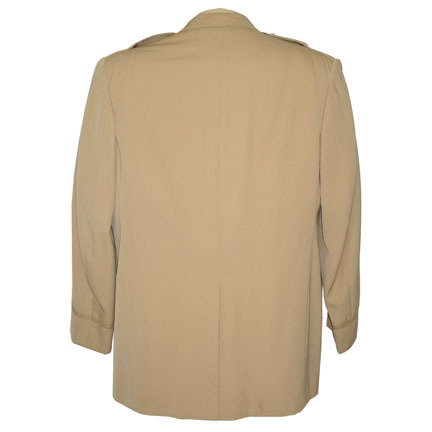 There is some minor staining on the jacket and the other garments are in very good screen worn condition. 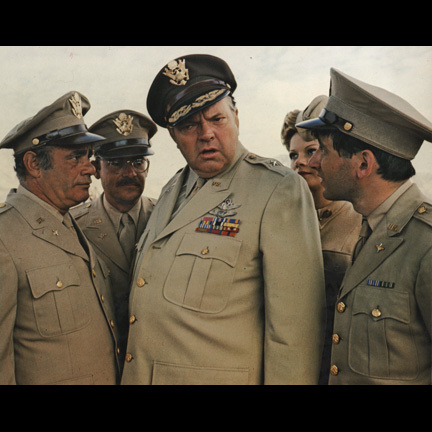 Accompanied by a certificate of authenticity from the costume company.